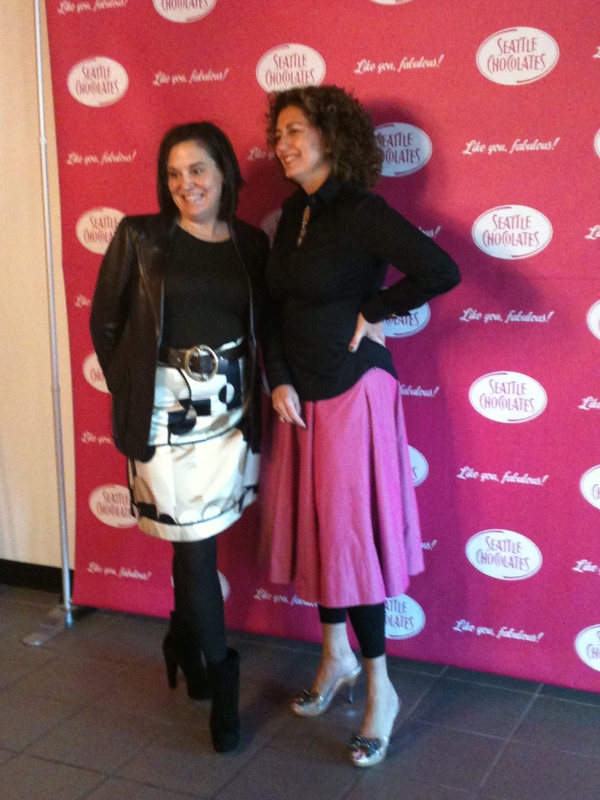 Seattle Chocolates Grand Opening Party! 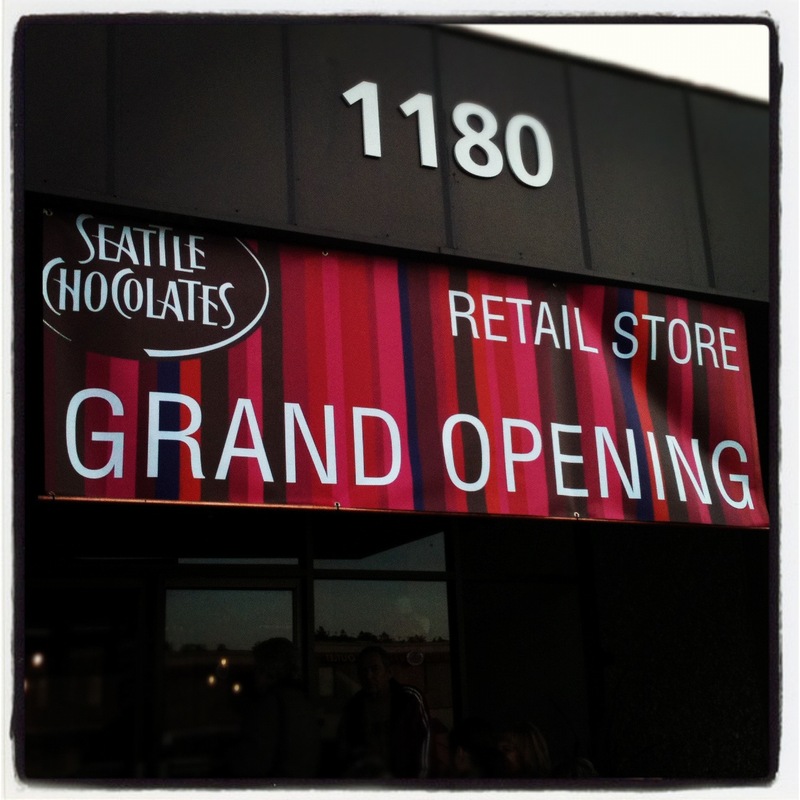 Saturday was the grand opening of the Seattle Chocolates retail store. In celebration of 20 years in business they threw an opening party complete with numerous samples, gifts for the first 100 people in line, and even a few celebrity appearances. People were outside in the cold with their Starbucks waiting in line over an hour before the doors opened. We asked why they were there so early, everyone cheered “CHOCOLATE!” and of course, free gifts. There was even a group of about 20 people from a nearby furniture shop who had convinced their boss that their Saturday morning meeting location should be relocated to the Seattle Chocolates line. They contained some very enthusiastic chocolate lovers. Seattle Chocolates is all about their chocolate. Jean Thompson, Owner of Seattle Chocolates, believes that women love chocolate and so chocolate should be made for women to treat themselves and enjoy at all times. The packaging is the most amazing chocolate packaging I’ve ever seen. There is not too much brown, pink, and gold. It is about personality and beauty when it comes to these chocolate wrappers. Each flavor has a creatively designed pattern and color combination. There are greens, blues, yellows, purples, reds, and many more. Jean says that while the Sea Salt is her current favorite flavor, she would probably decorate her bedroom in the wrapper from coconut chocolate. The whole experience was very Willy Wonka-esque. Suddenly, I had a golden Ticket and was on a once in a lifetime tour of an amazing chocolate paradise. Okay, so there wasn’t a chocolate waterfall or any geese who laid golden eggs, but the snozberries definitely tasted like snozberries and everyone felt like the luckiest kids in the world. When you first enter the store, you are greeted and given a chance to take your photo with “The Captain of the Chocolate Ship,” Jean. Then you are encouraged to try every one of the 20 truffle flavors from traditional mint and dark chocolate to Mimosa and Apple Tini. Then you are ushered through a doorway that opens to a room filled with every type of chocolate imaginable. Bars of chocolate, more truffles, boxes filled with chocolate, samples everywhere, and helpful Seattle Chocolates employees anxious to help you find that perfect fit for you or a friend. I saw many people gathering stocking stuffers and holiday gifts. And everyone left with a huge smile on their face vowing to come back again soon. The experience was fantastic. It was magical. It was friendly. It was chocolately. Thank you so much Seattle Chocolates! ps. 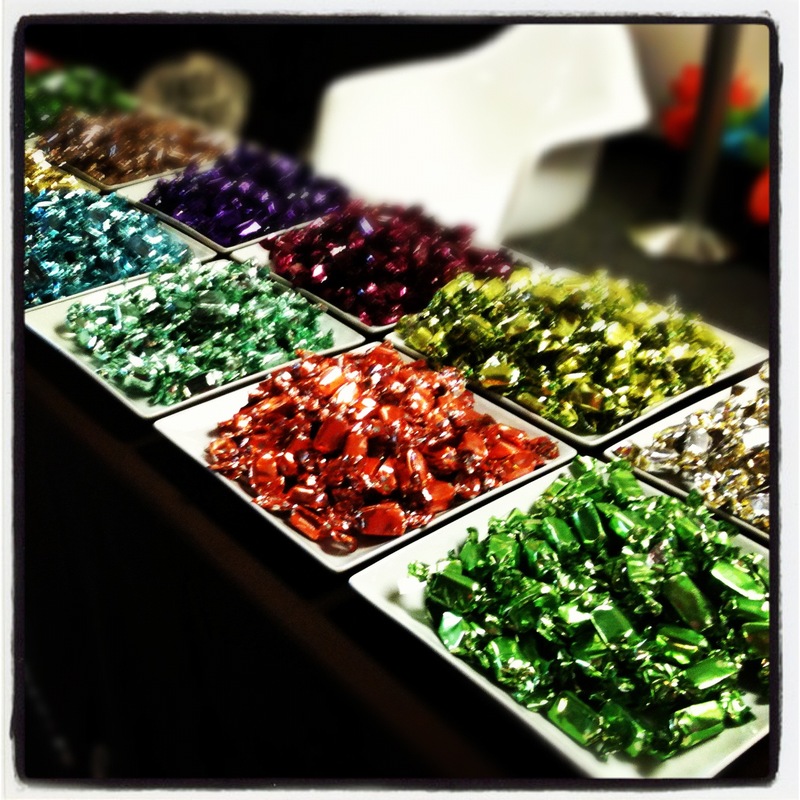 make sure to follow Seattle Chocolates on Twitter and check out their Facebook page! Sounds like the kind of opening I could get excited about. Raspberry dark chocolate, yum! Did they have an orange dark chocolate? Your writing is fun to read. Thanks for sharing your experiences! That sounds wonderful and fun. Thank you for sharing, I enjoyed reading this so much I read it twice. Good news! I just found a runaway bag of chocolate in the back of my car! !